The record attendance at FamilyFarmed’s 2017 Good Food Festival & Conference in Chicago underscored important points about the Good Food movement’s growing momentum. It showed that people increasingly are tuned into the need for a better food system that is healthier, more environmentally sustainable and more economically dynamic. It showed that many people are willing to devote their valuable time to learning more about food that is produced as locally as possible, using sustainable, humane and fair practices. 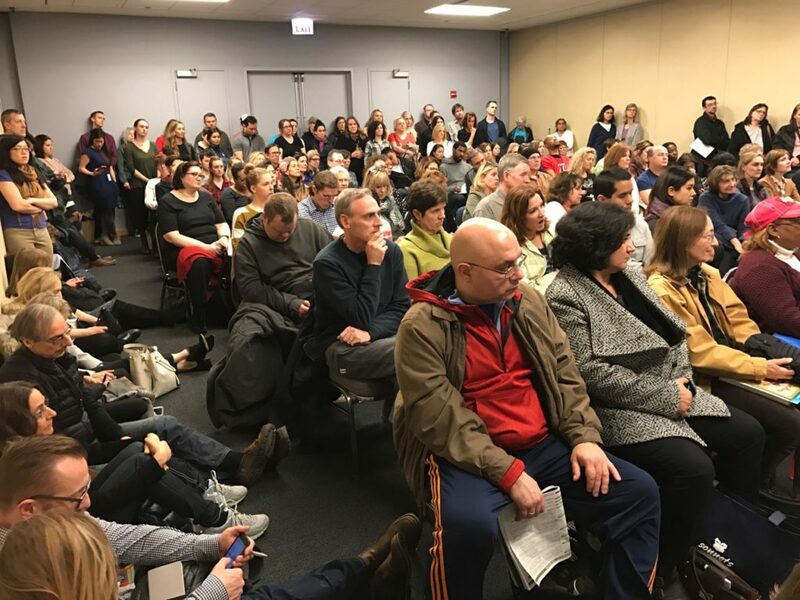 And it showed that the impact of food choices on human health is becoming a priority matter for more and more Americans, as expert panel discussions on that subject drew standing room only crowds. 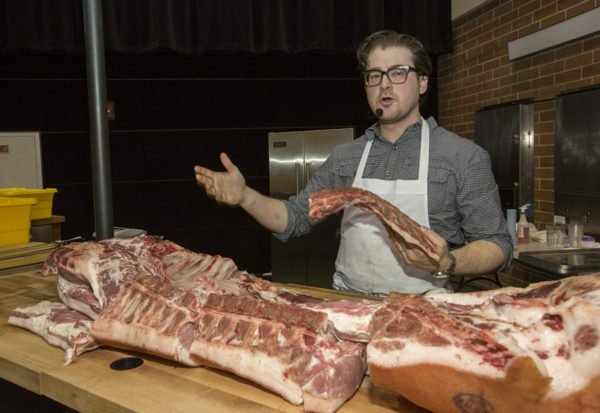 More than 7,500 people attended the 13th Good Food Festival & Conference, held March 16-18 at the UIC Forum on the University of Illinois at Chicago campus. This was a 54 percent increase over the attendance for the 2016 event, and it was the most diverse audience in the history of the event. There is no doubt that turnout was boosted (at least somewhat) by FamilyFarmed’s decision to make admission to the Good Food Festival — the big public celebration of the Good Food movement held on Saturday, March 18 — free of charge for the first time. 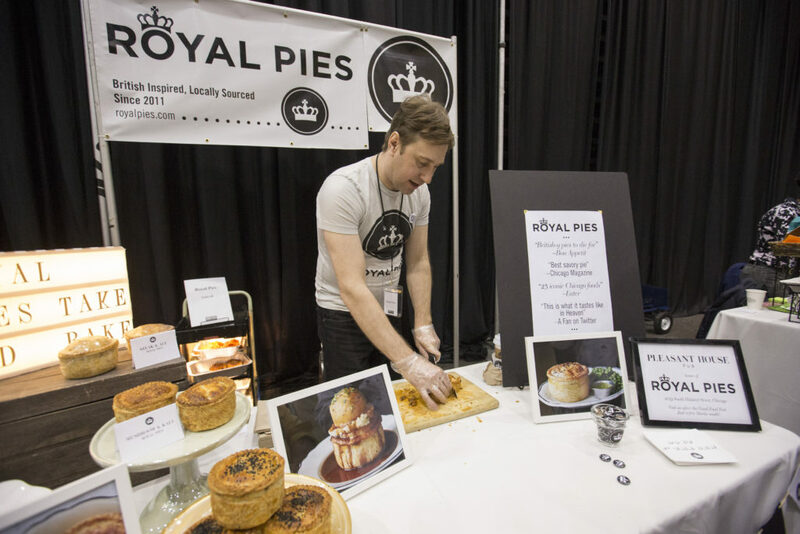 The aisles in the “Good Food Marketplace,” the Festival’s centerpiece, were packed as attendees interacted with, and bought delicious products from, the 175 food and farm entrepreneurs who participated in the event. Nonetheless, most people would have found something else to do were there not compelling content, which included panels of experts illuminating the biggest food-related issues of our time, and demos from top chefs who feature local and sustainable sourcing (including Rick Bayless of the Frontera Restaurant group, as well as Christine Cikowski and Josh Kulp of Honey Butter Fried Chicken, recipients of FamilyFarmed’s Good Food Chef of the Year Award for their social consciousness as well as for their delicious food). 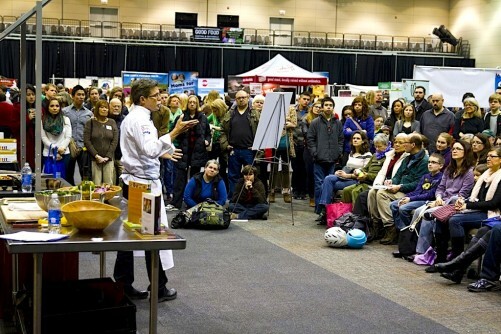 To us at FamilyFarmed, the most lasting impression involved the huge turnouts for two Saturday panels focused on the impact of food on health and nutrition. The Good Food is Good Medicine panel, moderated by FamilyFarmed Board Chairman Charlotte Flinn featured three medical professionals — Melinda Ring, executive director of Northwestern Medicine’s Osher Center for Integrative Medicine; Geeta Maker-Clark, coordinator of Integrative Medical Education at University of Chicago’s Pritzker School of Medicine; and Adam Murphy, assistant professor of urology at Northwestern University Medical Center and a FamilyFarmed Board member — along with Liz Fiorenza of Wind Ridge Herb Farm, a 2016 graduate of FamilyFarmed’s Good Food Business Accelerator, who discussed the medicinal benefits of herbs. The Mood and Food panel also was packed with health and medical experts: Dr. Nataka Moore of the Chicago Global Health Alliance (who moderated); Dr. Ian Smith, a physician, health and fitness expert and TV personality who develop SHRED POP popcorn; Judy Fulop, who practices naturopathic medicine at Northwestern University Hospital; Tiffany McDowell, a community psychologist; and Jane Hawley Stevens of Four Elements Organic Herbals. These panels were so compelling that FamilyFarmed is exploring the possibility of an expansive program of Good Food is Good Medicine events. 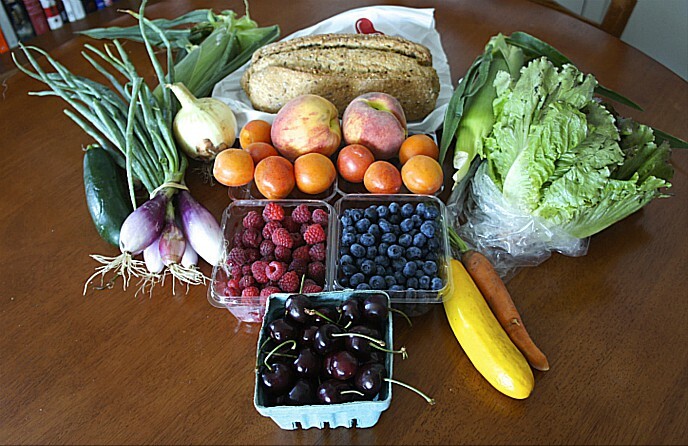 “Encouraging better eating habits will result in healthier, happier people and it will prevent illnesses, thus reducing the potentially crushing burden of health care costs on individuals and our society,” said Slama. 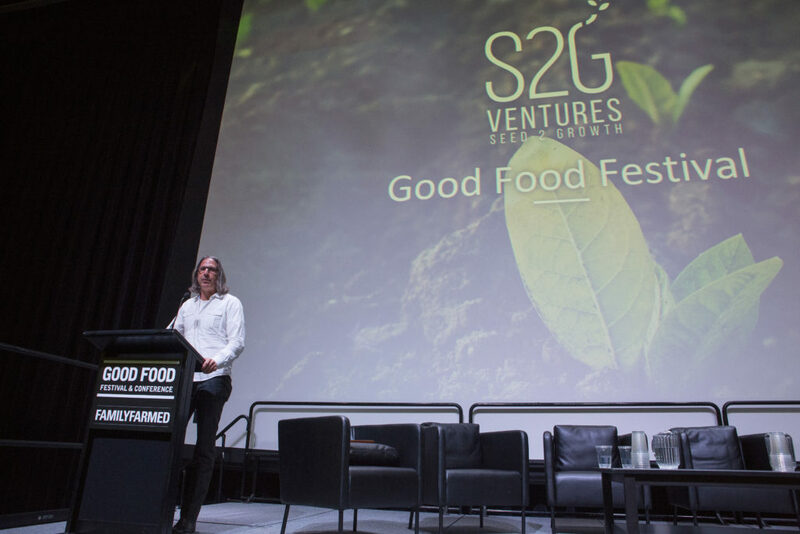 The Good Food Festival was the capper after two other days of exceptional content aimed more at professionals and advocates in the Good Food sector. The centerpiece of the annual Good Food Financing & Innovation Conference, held on Thursday, March 16, was as usual the Financing Fair. Two dozen rising food businesses interacting with potential buyers, investors, lenders and others, including all nine Fellows in the current cohort of FamilyFarmed’s Good Food Business Accelerator — Fruitbelt, Full Belly Foods, Made Here Products, Justice of the Pies, Pleasant House Pub and Bakery’s Royal Pies, Simply Native Foods, Skinny Souping, Skyline Kitchen Inc./Tea Squares, and The Eating Well — as well as three graduates of previous cohorts: ‘Laine’s Bake Shop, Phoenix Bean Tofu, and The Cider Farm. Combined, the Financing Fair and the Good Food Business Accelerator have stimulated more than $30 million in financing activity in recent years. The enlightening panels on Thursday included subjects such as Urban Impact Investing and Community Revitalization, Producing Good Food Close to Home, Big Food’s Embrace of Good Food, and Innovation in Food Marketing, Sales and Distribution. Among the many expert panelists were Bill Weiland of Presence Marketing and Andrew Whitman of 2x Consumer Products Growth Partners, two of the earliest investors in the Good Food space; Dave Donnan, global food and beverage lead for the A.T. Kearney consulting firm; and Viraj Puri, CEO of Gotham Greens. 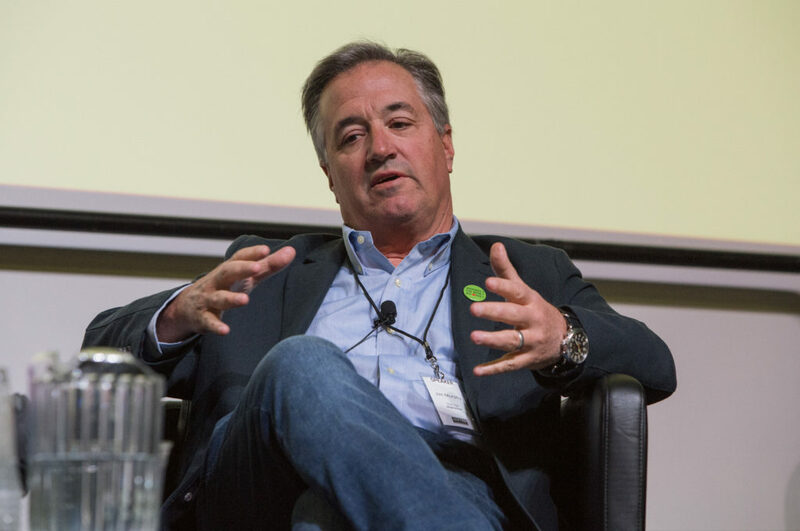 Thursday’s program also included a ceremony in which FamilyFarmed’s Good Food Business of the Year Award was presented to Victor Friedberg, co-founder of Seed2Growth (S2G) Ventures, who addressed the audience about the venture capital firm’s focus on sustainable farm and food companies. Friday’s Good Food Trade Show & Policy Conference revolved around the food and farm exhibitors there to connect with trade buyers and others in the food business. The Trade Show has been a constant throughout all 13 years of FamilyFarmed’s big annual event. Leading off the day’s multiple tracks of panel discussions was one titled Does Good Food Need to Be Local? Panelists included (among others) Rick Bayless, a chef-pioneer of local sourcing who also reaches beyond the Chicago area for high-quality ingredients; Jim Murphy, chairman of Local Foods Chicago, MightyVine tomatoes, and HandCut Foods; and Katherine Miller, senior director for Food Policy Advocacy at the James Beard Foundation, who moderated. 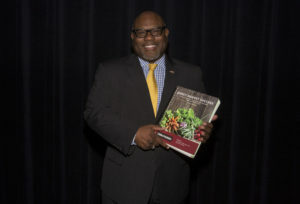 The Food Policy Conference included two panels of great political currency: New President, New Congress — The Future of Federal Food and Farm Policy, and Strengthening Alliances for Better Food Policy. FamilyFarmed never stands still, and changes are afoot that will leverage the successes of 2017. Beginning next year, the event will be branded as The Good Food Expo. Plans are also in development to pull the Good Food Financing & Innovation Conference out as its own event, most likely beginning in May 2018. This entry was posted in Awards, Chef advocacy, Farm to table dining, Food activism, Food and community, Food and health, Food education, Food Entrepreneurs, Frontera Farmer Foundation, Good Food and economic development, Good Food Business Accelerator, Good Food business development, Good Food Festivals, Good Food movement, Good Food Policymaking, Healthy eating, James Beard Foundation Awards, Local Food, Sustainable conferences, Sustainable food business investment, Sustainable food education and tagged 'Laine's Bake Shop, 2X Consumer Products Growth Partners, A.T. Kearney, Adam Murphy, Chef Rick Bayless, Chicago Global Health Alliance, Dr. Ian Smith, Dr. Judy Fulop, Dr. Nataka Moore, FamilyFarmed, FamilyFarmed's Good Food Business of the Year Award, FamilyFarmed's Good Food Chef of the Year Award, Four Elements Organic Herbals, Frontera restaurant group, Fruitbelt, Full Belly Foods, Geeta Maker-Clark, Good Food Business Accelerator, Good Food Festival, Good Food Festival & Conference, Good Food Financing &Innovation Conference, Gotham Greens, Honey Butter Fried Chicken, James Beard Foundation, Justice of the Pies, Local Foods Chicago, Made Here Products, Melinda Ring, Northwestern University Medical Center, Osher Center for Integrative Medicine, Phoenix Bean tofu, Pleasant House Pub Chicago, Presence Marketing, S2G Ventures, Simply Native Foods, Skinny Souping, Tea Squares, The Cider Farm, The Eating Well, Tiffany McDowell, University of Chicago Pritzker School of Medicine, Wind Ridge Herb Farm. Bookmark the permalink.